A Revolutionary Gospel focuses on the centrality of Rauschenbusch’s concept of salvation—his view of both personal and social salvation—in its relationship to the Kingdom of God in the teachings of Jesus. Rauschenbusch believed that Jesus’ teachings were revolutionary and aimed to bring about the moral transformation of the individual and society. William Powell Tuck describes how Rauschenbusch’s concept of redemption requires a transformation of society as well as individuals—and that no one can genuinely be redeemed without this redemption affecting the social culture as well. 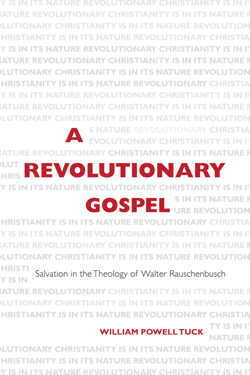 A Revolutionary Gospel shows us how Rauschenbusch’s revolutionary concept of salvation is still relevant today. William Powell Tuck, a native of Virginia, has served as a pastor in Virginia, Kentucky, North Carolina, and Louisiana, and as a seminary professor, adjunct college professor, and an intentional interim pastor. 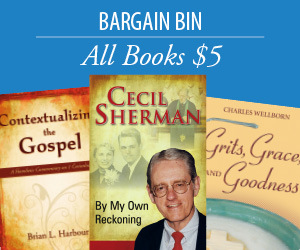 He is the author of 27 books including Our Baptist Tradition, Modern Shapers of Baptist Thought in America, and Love as a Way of Living. He was given an honorary Doctor of Divinity degree from the University of Richmond, and in 1997 he received the “Pastor of the Year” award from the Academy of Parish Clergy. He and his wife, Emily Campbell, are the parents of 2 children and 5 grandchildren and live in Midlothian, Virginia. A major addition to Rauschenbusch studies! Impressively researched and cogently argued, A Revolutionary Gospel corrects both popular and scholarly misinterpretations of the leading theologian of the Social Gospel and throws new light on the theological underpinnings of that Gospel, notably in Rauschenbusch’s understanding of sin and salvation. Written in an engaging style, the book should claim the attention of Rauschenbusch specialists, ethicists, Baptist historians, seminarians, and ordinary saints trying to live a relevant faith in culture not unlike the one Rauschenbusch confronted. Walter Rauschenbusch was the greatest prophet of the Social Gospel, and the Social Gospel is as urgently needed today as it was a century ago when Rauschenbusch was writing about it. In this readable, interesting, and important book, William Powell Tuck, who like Rauschenbusch has served both as a pastor and as a professor, shows that many conventional characterizations of Rauschenbusch’s theology simply are not true. This book offers the most even-handed assessment of Rauschenbusch’s thought I have read. Rauschenbusch did not minimize personal sin, but he did recognize the power of social sin. He did not deny that God judges sin, but he did affirm that God’s judgment is redemptive and restorative. He did not deny the need for a personal salvation, but he did call for society’s salvation. He did not claim that Jesus was a social reformer, but he did affirm that Jesus’ religious message would lead to social change. He did not deny the future life, but he did affirm the importance of the present life. He was not a utopian optimist who believed that progress is inevitable, but he was a hopeful Christian who believed that the Kingdom of God is coming into the world (as we all pray when we say the Lord’s Prayer). He did not identify the Kingdom with democratic America, but he did affirm that God’s Reign would be one of justice and peace. And he believed that God intends to work through the church, imperfect though it is, to carry out the divine purposes. If these ideas seem important and true and biblical to you, then I think you will love this book and benefit from it. Judicious in his use of primary sources, William Tuck brings his thoughtful scholar-practitioner expertise and theological perceptiveness to a fresh study of Walter Rauschenbusch. Addressing an area long debated in the study of this American prophet, Tuck offers a nuanced analysis of Rauschenbusch’s articulation of individual and corporate understandings of sin and salvation, especially as they pertain to his vision of the centrality of the Reign of God as present reality. In this lucid delineation of the key theological ingredients of the architect of the theology of the “social gospel,” Tuck makes a compelling case for the continuing relevance of his work, especially in our time of growing economic disparity. With this fine, focused book, Tuck advances the relevancy and urgency of Rauschenbusch’s work by directly addressing the major criticism against him: that he was “soft” on sin and salvation. As Tuck discovers and conveys, it is precisely in this crucial area of concern where Rauschenbusch offers some of his more inspired contributions to Christian thought. My hope is that this book points readers not only to Rauschenbusch’s work, but leads Christians to more fully know and love Jesus and his redeeming work on earth as in heaven. Mentors matter! Our personal teachers matter! Those we read matter! Over fifty years ago, while he was in seminary, Bill Tuck read the works of a fellow Baptist, Walter Rauschenbusch. Rauschenbusch’s theology gripped Tuck’s mind and soul. Fortunately, Tuck has never escaped that theological grasp. In these pages, Tuck seeks to bring you to Rauschenbusch’s understanding of salvation. It is a view of salvation that is both personal and social, a view of salvation that is sorely needed in our world today. My guess is that after you have read Tuck you will want to read Rauschenbusch. Nothing could please Bill Tuck more.